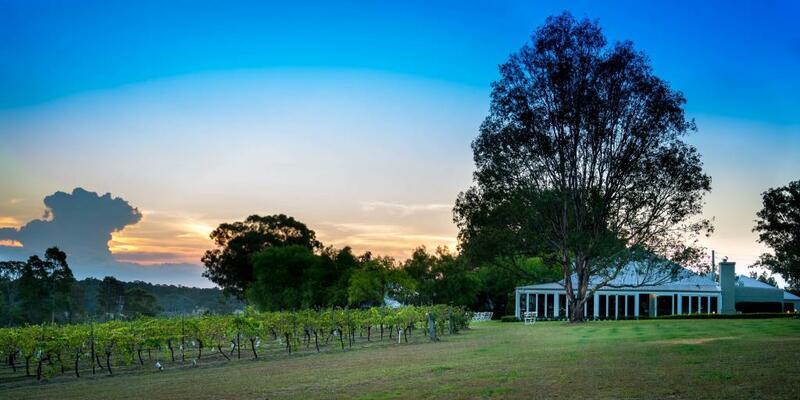 Spicers Vineyard Estate is set amongst the natural bush land and a private vineyard offering stunning views of the Brokenback Mountains. This Hunter Valley accommodation is conveniently located in Pokolbin and features a swimming pool and an award winning restaurant. 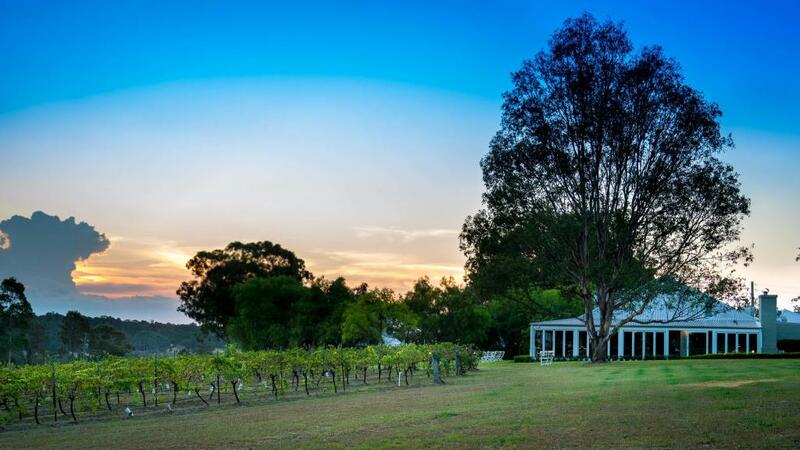 Spicers Vineyard Estate is an intimate property offering 12 rooms in total making it ideal for couples who wish to escape the busy lifestyle of the city for a weekend. The property is close to many wineries and the Hunter Valley Gardens, there are plenty of things to see and do while staying in the Hunter Valley. The suites at Spicers Vineyard Estate offer a intimate and romantic haven. There are some suites located on the ground floor with French doors opening out to the large verandah that spans the building. For those wanting a little more privacy, three suites are located on the first floor, offering sweeping vineyard and mountain views. King Spa Suite: Bedding is 1 King Bed. Maximum room capacity is 2 Adults. Luxury Spa Suite: Featuring option of private courrtyard or balcony and a Nespresso coffee machine. Bedding is 1 King Bed. Maximum room capacity is 2 Adults. Restaurant Botanica: Unique, regionally distinctive dining lies in its seasonal menu and award-winning wine list, noted as one of the country's best regional wine lists. Delicious menus complement the wine focus, with seasonality and freshness provided from a kitchen garden where chefs cut petit herbs only moments before they add their delightful dimension to your cuisine. Relax and enjoy the stunning views at sunset looking out across the Estate's private vineyard to the Brokenback mountain range and, in winter, enjoy the warmth from the cosy open fire. With charming, warm service that makes you feel right at home, you may never want to leave. Restaurant Botanica is open for dinner from 6.00pm (Wednesday to Sunday) and for Lunch, Saturday and Sunday from 12.00pm - 3.00pm. Spa Anise: Offering two treatment rooms with a natural decor and outlook providing the ideal atmosphere for a relaxing and transforming massage or beauty treatment. Children: There are no facilities for children at this property. Minimum Stay: Minimum 2 night stay applies on stays including a Friday, Saturday or Sunday night and 3 nights for all public holiday weekends.